Michelle and Owen are getting married next June! This is a wedding and engagement session that I'm photographing with through the Thompson Photography Group that I'm part of. 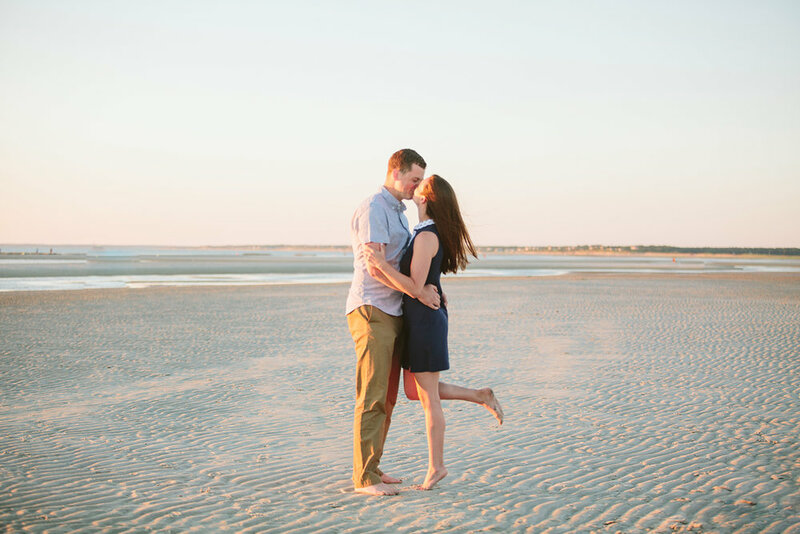 I took their engagement photos down in Rock Harbor Beach in Orleans, Ma. It's such a beautiful area! We lucked out with gorgeous light, and a beautiful sunset. Here are some shots from this session!